Skuld, the youngest of the 3 sister goddesses living with college student Keiichi Morisato, may be a supernatural deity and a mechanical whiz, but can she learn the simple joy of riding a bicycle - and deal with her first crush on a boy? 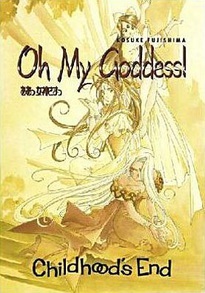 Meanwhile, campus queen Sayoko doesn't believe in goddesses - but when she's possessed by a demon, goddess sisters Belldandy and Urd have to convince her they have powers..without blowing their secret! Also, say hello to the spicy Chihiro Fujimi, former head of the school motor club! She's back in town, and she's ready to turn it upside-down!